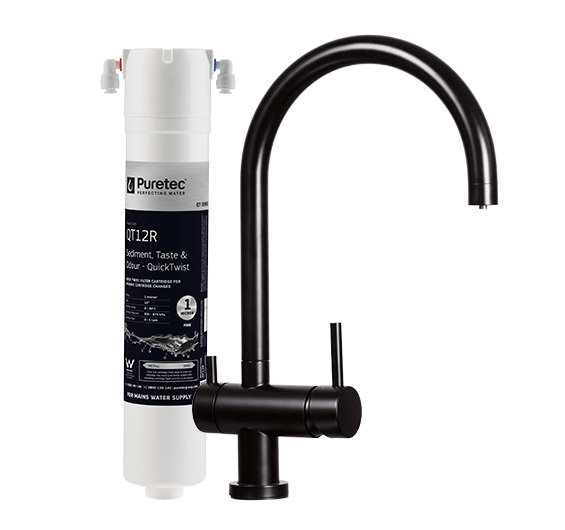 filter is quick and easy, and it can fit into place horizontally or vertically. 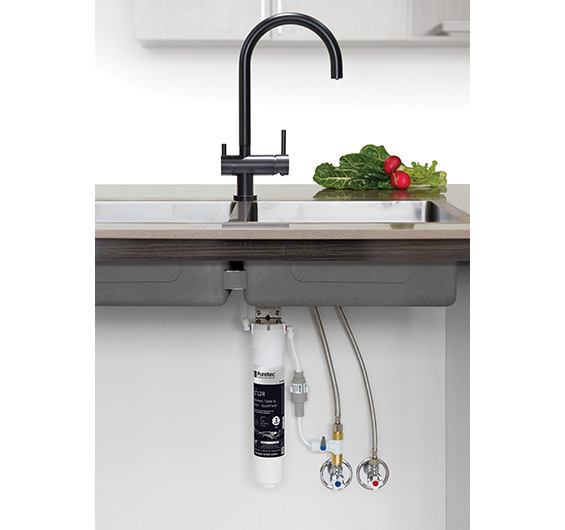 All plumbing connections are included with the system, which has been designed to work with Tripla tapware. 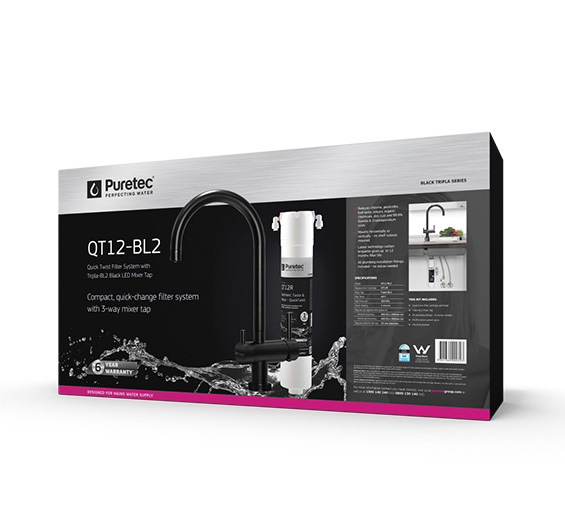 This combination includes the QT series filter and the TRIPLA-BL2 mixer.